We’re happy to be working with some very talented local boys on this project. 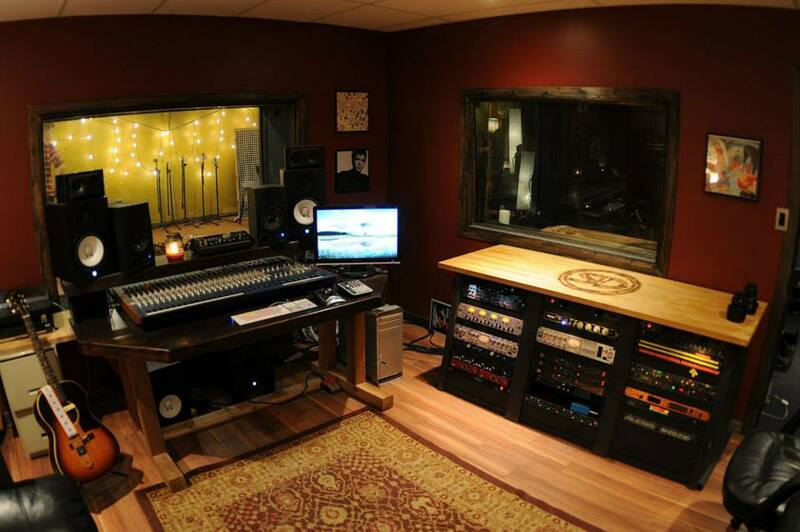 Our friends Dave Houde and Will Miur are the owners and produgineers at the Sound Distillery Recording Studio in Kitchener, Ontario, where we will be recording through the winter. These guys have been putting out records from some of the coolest artists in the KW area for several years now and have brought some real talent and class (ok not that much class) to the music scene here. The experience of recording at the sound distillery is unique. It’s in a space above a hip cafe in downtown kitchener. The patrons and passers by would have no idea that there was a fully functioning recording studio upstairs unless you told them. Once inside, the Sound Distillery is as warm and cozy as your own livingroom, and that’s an appealing qiality when you spend as much time in a place as we are right now. Besides being technically and musically proficient, these guys are creative and ballsy, and they strive not always to capture the most perfect recording, but to capture a great performance. You can’t fix it in the mix if it’s not on the tape to begin with. To hear some of the stellar work they’ve done, check out their discography featuring bands like the Conor Gaines Band, Daddy Long Legs, and Aisles, just to name a few. I’ve been told many times that music is 90% listening and 10% playing. Well as much as I hate anecdotes, that little nugget of old-timey wisdom has become truer and truer over the years. Our first few days in the studio have been fast-paced as we rehearse, arrange and record demos. This is where the listening comes in. A song that feels more or less complete in rehearsal can be far from finished when you hear it back. Other songs arrive with all the pieces in a neat little package. You won’t know until you listen, and listen a lot. I for one like to listen to demos tens or hundreds of times, which is pretty torturous to be honest, but it makes you a better player, and it helps you understand what’s working with the arrangements, why it’s working, what’s not working, and how it should be working. In our first four days we’ve finished a whole bunch of demos, and now we get to listen to them until we hate them, and figure out why that is. So that’s what we’re doing. More updates coming soon. Getting angry singing backup vocals. Duncan laying down some intense and intricate keyboard parts. Boys in the control room. Day 1: Load in day! Today was day 1 of our session at the Sound Distillery Studios. That means loading in guitars, basses, amps, and drums into the studio and getting everything set up and plugged in. In an effort to cover all of our sonic bases, we may have overdone it a little bit with the guitars, but at least we know we have everything we need. After loading everything in and getting the drums and guitars set up, we had a chance to run through all our songs and get a feel for the room and the headphone mixes. The Sound Distillery is so warm and cozy, it’s like working in your own living room, except if your living room was full of recording equipment. Actually my living room is full of recording equipment. That might be why it feels like home. Anyways, now the real work begins. Check out some pictures from our first session below. More to come soon. Almost every musician I know has made the ‘I’ll just get a drum machine’ joke at one time or another. If you haven’t heard that one, you probably need to get out more. Even though we joke about it, in reality, people fear drum machines. And I guess on the surface the fear is reasonable: lots of today’s pop music uses samples, loops, and drum machines for rhythm tracks rather than a real drummer. And that makes drummers fear for their jobs. I spent a few hours yesterday programming a drum machine that might end up replacing me on tracks – might cost me some of my work. And even though that sounds a little crazy, when it comes to software instruments, us artists ought to keep in mind what our goals really are. We all know that drum machines can work remarkably on a track when used properly. So why fight them? They’re a means to an end. And if this particular means will get your tune a licensing deal, or get you some airplay, or sell some records, who are you (A lowly drummer! That’s who!) to argue with it? If you’re a drummer, your skills are unique and valuable regardless of whether or not you’re actually playing. Ever watched a guitar player try to program a compound meter traditional Ghanaian groove into a MIDI/sampled track? Not a chance. They don’t know how. So fellow drummers: don’t fight the drum machine. Embrace it as a subset of your percussion skills. You didn’t fight when someone asked you to learn to play the glockenspiel for your (progressive!) indie folk grunge fusion band. Why fight this? In the end, if we all made careers out of programming drum machine plugins on sessions… well, things could be worse. You could be schlepping a hundred pound bag of hardware up a narrow staircase into a filthy club to set up your beloved vintage Radio Kings. Playing a gig for sixty bucks. I think I’ll take that comfy control room chair whenever I get the chance. 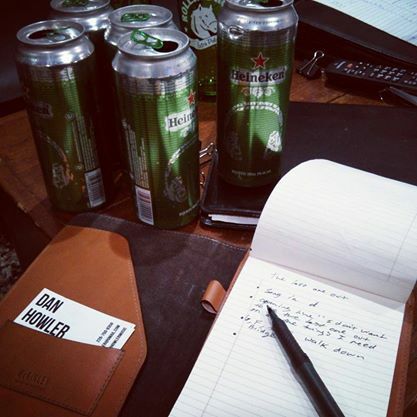 In case you hadn’t heard the news, Dan Howler is recording his debut album! For the past few months, we (Dan, Duncan, and Myself) have been writing, arranging, and rehearsing songs getting ready to start recording. The adventure begins next week when we head into the Sound Distillery studios in Kitchener, Ontario for six weeks of sessions. We set up the Dan Howler Blog so our fans (#wolfpack) can see what we’re up to over the coming weeks and months. 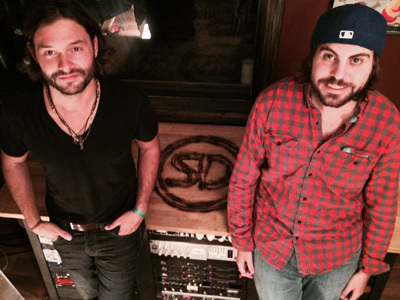 Experience the sights, the sounds, and the smells of a rock band making their first record. Subscribe to the blog to get updates by email, and be sure to share with your friends and leave your comments below each post.